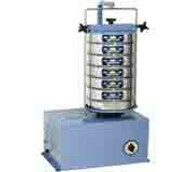 Our laboratory sieve shaker machines for 3-inch diameter sieves offer a compact size and small footprint for any testing lab. 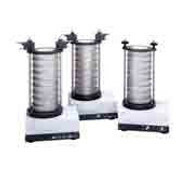 Our popular Motorized Sieve Shaker for 3in Sieves will accommodate up to 6 sieves and has a durable 1/20 HP motor that is perfect for small samples. 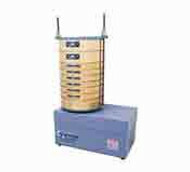 The sieve shakers for 8 in diameter sieves offer quality that outperforms comparably priced equipment while also maintaining the high standards for material testing accepted by various state and federal departments as well as certification agencies. 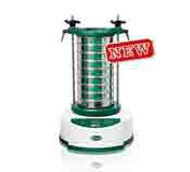 The Economy 8” Sieve Shaker holds six full-height sieves and is enclosed in a durable metal case. 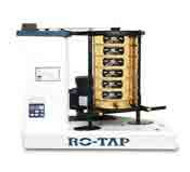 We also provide the full-line of Ro-tap sieve shaker machines by W.S. Tyler. With its unique 278 oscillations and 150 taps per minute, the RX-29 Rotap Sieve Shaker is the industry standard in high-performance sieving. And if noise reduction is needed in your lab or testing environment, the Sound Enclosures for RX-29 & RX-30 Ro-Tap Shakers reduces noise level from 85dB to 60dB. 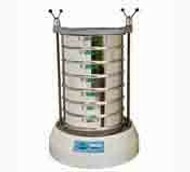 Certified Material Testing Products is also one of the exclusive retailers of Retsch Sieve Shakers in the US. 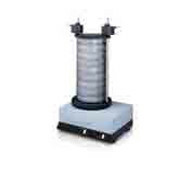 The Retsch Tap Sieve Shaker is maintenance-free and fulfills all the criteria related to ISO 9001. 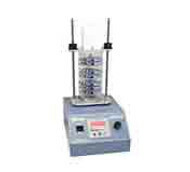 Our sieve shaker machines for sale come with a full 1-year manufacturer’s warranty, are in stock, and ship today. Buy sieve shaker machines online today from our large selection of aggregate equipment and other products from Certified MTP.